In 2002, Judge Geer was elected by more than one million North Carolina citizens to serve on the North Carolina Court of Appeals. Prior to her election, Judge Geer was in private practice for 19 years, working first for a prestigious corporate firm, representing companies in sophisticated business litigation, class actions, and shareholder disputes. She returned to North Carolina where she helped found a law firm and became a small business owner herself. 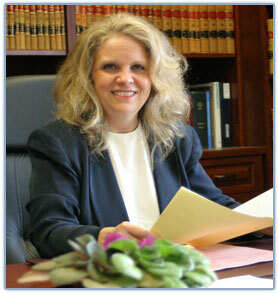 During her career in North Carolina, large and small businesses, leading North Carolina industries, executives, and workers alike trusted Judge Geer to handle their most difficult legal disputes at both the trial level and on appeal. She lives in Raleigh with her husband Tim, their dog Hope, and three cats. Their engagement made news when Tim, a forensic psychologist, proposed to her at a hearing that she believed was real, but which was actually arranged for the purpose of allowing Tim to ask her to marry him. After getting over her shock of hearing a superior court judge call her forward to give her answer to Tim's proposal, she enthusiastically said, "yes." Admitted to practice in North Carolina, New York, the United States District Courts for the Eastern, Middle, and Western Districts of North Carolina and for the Southern and Eastern Districts of New York, the United States Court of Appeals for the Fourth Circuit, and the United States Supreme Court. Elected to serve as a Judge on the North Carolina Court of Appeals. Participated in deciding more than 2,000 appeals. Of those appeals, she has written the majority opinion in almost 700 appeals. The Supreme Court has reversed her only ten times. Mediator in the Court of Appeals' mediation program, helping parties resolve their appeals on their own terms. In 2007, Chief Justice Parker appointed Judge Geer to serve on the Family Court Advisory Council. Judge Geer is a representative of the Court of Appeals on the North Carolina Bar Association’s Appellate Rules Committee, an organization that makes recommendations to the North Carolina Supreme Court regarding the Rules of Appellate Procedure. One of only 40 state government officials selected from across the country to participate in a yearly leadership program sponsored by the Council of State Governments. American Bar Association: Editorial Board, Judge's Journal Past co-chair of Ethics in Litigation Subcommittee of the Employee Rights and Responsibilities Committee. North Carolina Bar Association: Member, Appellate Rules Committee Labor & Employment Law Council. Past Member, Constitutional Rights and Responsibilities Council; Trial Practice Curriculum Committee. North Carolina Association of Women Attorneys.